Grow your eyelashes with a product you already have! Hello! My name is Christiana Lenzer, I am an 18 year old pre-professional classical dancer who advocates a healthy, balanced, creative and positive lifestyle! Training for many years as well as working professionally, I have learned many tips & tricks of the trade, as well as obtained valuable knowledge that I aspire to share with others! I encourage every dancer to achieve their best-self by providing their bodies and minds with optimal fuel and education. 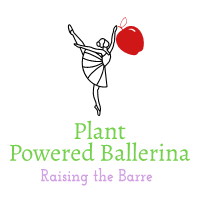 Allow my platform to expand your understanding of dance and wellness so that you can pass along your knowledge to others!